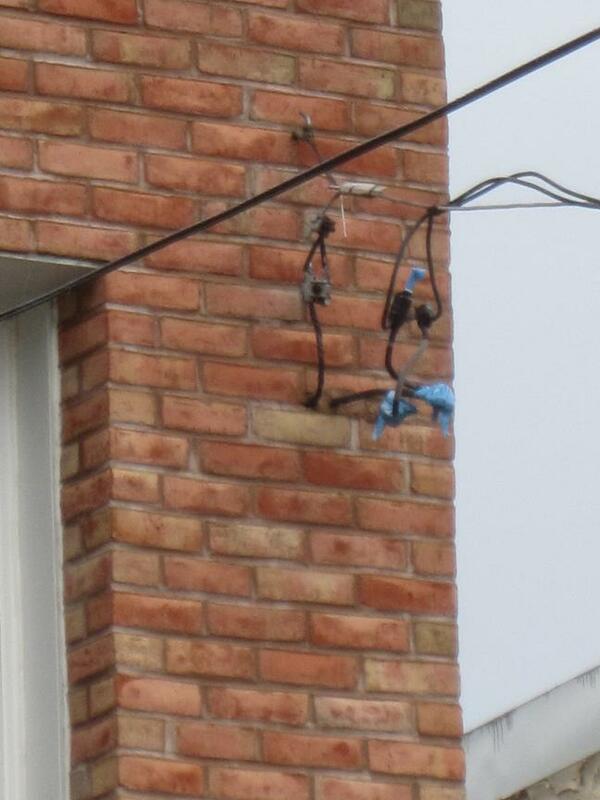 We as qualified electricians see code violations on an almost daily basis. 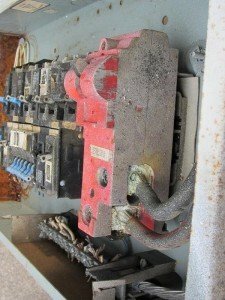 Many of our calls from customers concerned with the safety of their electric in their business or homes are mostly the result of outdated wiring or an unqualified electrician not knowing right from wrong. 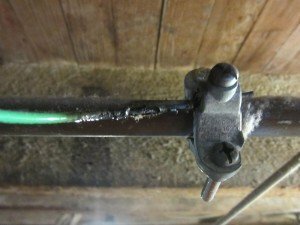 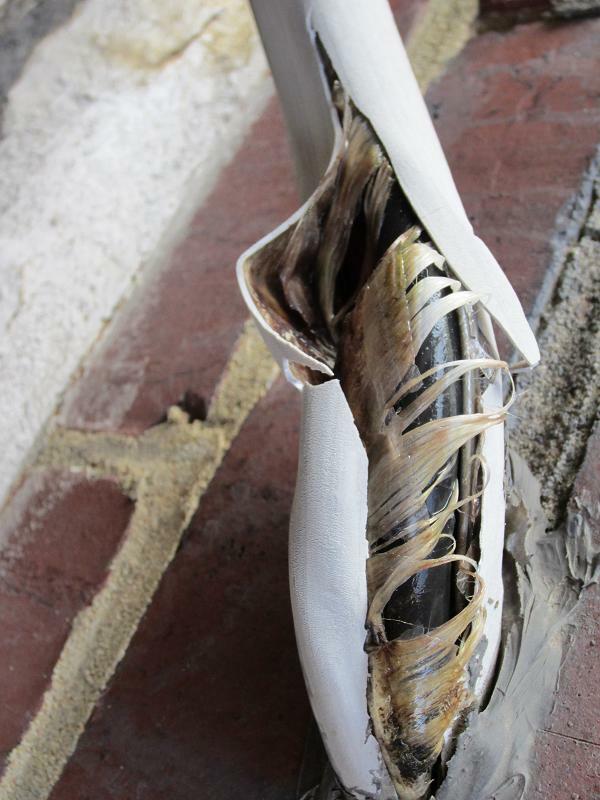 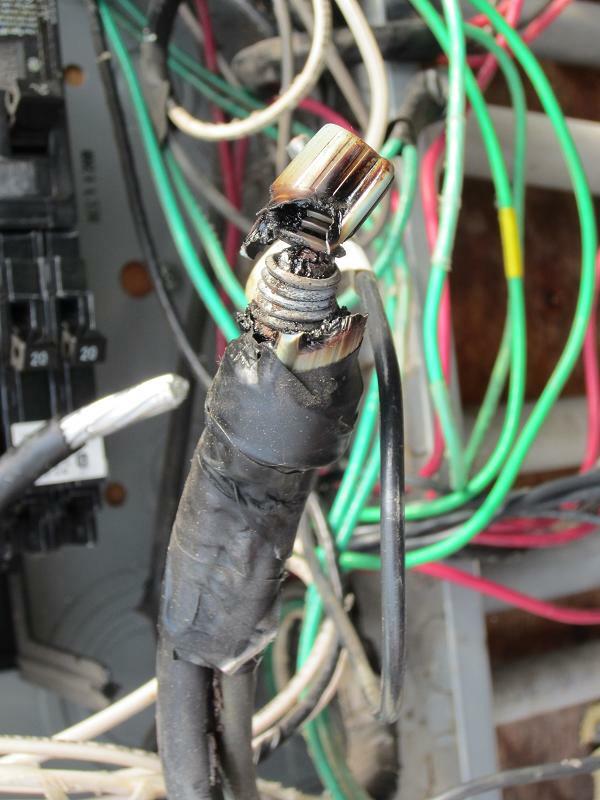 The image below shows a service line spliced with a wire nut causing overheating to the point of electrical failure. The image below shows corrosion of the main electrical breaker in this panel that led to power failure caused by water entering equipment through the service cable. This service line buried behind the wall on image below, became corroded to the point of failure. 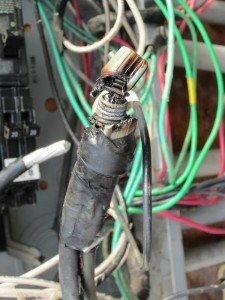 This undersized ground wire became a current carrying conductor when the main service neutral conductor became corroded to the point of failure. 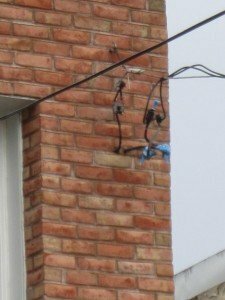 The violations on images above were from neglectful or incompetent installations that could have lead to harm to property or worse, a family member. 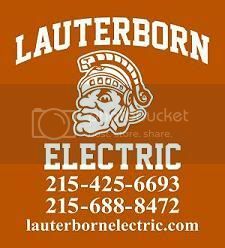 Contact your licensed electrical contractor Lauterborn Electric for all of you electrical needs.